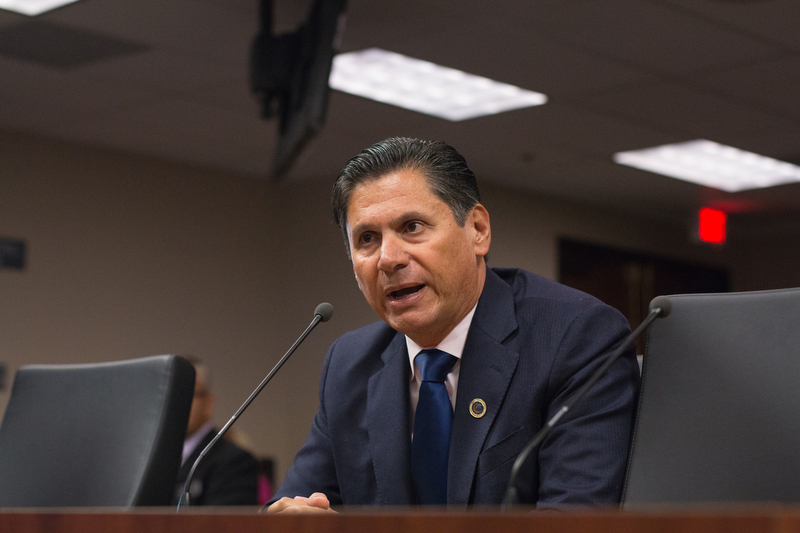 “This is, in many ways, new for the public systems in this country, and that’s why it’s gaining a lot of attention from the rest of the country,” California Community College System Chancellor Eloy Ortiz Oakley told EdSource. Gov. Jerry Brown envisions the college as a training option for so-called “stranded workers” – the estimated 2.5 million 25- to 34-year-old Californians who don’t have a college education. Once it opens in 2019 it will become a key piece of Brown’s education legacy for California. Brown and the college’s proponents say it will also help fuel the state’s economy — the fifth-largest in the world — and its insatiable need for skilled labor. The new method will come with challenges, according to researchers who study online education and administrators of other online programs. They include providing adequate student support for adult learners who may not have succeeded in other formal education settings and ensuring that the credentials the college awards fulfill their promise of helping graduates earn more money. The college’s first three programs will prepare students for careers in medical coding, information technology and supervisor roles in fields such as retail and government. College officials say each of those fields has a shortage of workers and requires education beyond high school, though not necessarily a full degree. The online college plans to begin offering courses in the fall of 2019 and is expected to cost $240 million over its first seven years, not counting funding the college will receive for each enrolled student. It will become the 115th institution in the community college system, the largest higher education system in the country. The System’s Board of Governors will meet to discuss the online college on Monday and is expected to take up a motion launching the search for the new institution’s CEO. Proponents say the online college has the potential to reach a population of Californians who aren’t being served by any of the existing college options either in person or online. Students looking for a college education online have plenty of options. Courses and full degree programs are already available online from the California Community College System, as well as the University of California and California State University systems. But none of those initiatives are exactly like the California Online College, as the new institution is called, because each focuses primarily on students earning two- or four-year degrees. For instance, the Community College System’s Online Education Initiative, an effort to expand access to online instruction that was launched in 2013 and bolstered with an additional $35 million in the 2018-19 state budget, offers online courses to students already enrolled at community colleges. With its narrow focus, the new online college initiative resembles worker-training programs offered by some employers and for-profit schools, but would be available to students at the Community College System’s lower cost. System leaders estimate the online college’s credential programs could take as little as four months to complete for students studying full-time, or 18 months for those taking classes part-time. Officials have said each program would consist of a short sequence of classes but they have not determined how many credit hours each program would require. Oakley said tuition for the programs will be based on the community college system’s rate of $46 per credit, the lowest fee level of any community college in the country. Because the online college will use a different credit structure than traditional courses, Oakley said, the system is still working out tuition rates for the new institution. “In that sense I would consider it a first,” Partridge said. Brown’s proposal for the new online college initially faced opposition from faculty leaders and skepticism from lawmakers and the independent Legislative Analyst’s Office, which questioned whether the institution was necessary given the other online education options students have. The Legislature ultimately approved the college as part of the 2018-19 state budget and the community college system’s Academic Senate dropped its opposition to the plan after the budget was signed into law. 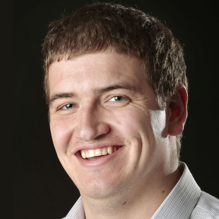 The online college will be required to offer one associate’s degree program to earn accreditation, said Paul Feist, a spokesman for the system, though there are no plans to offer any more than that single program. Feist said college officials have yet to design that program and are pursuing accreditation from the Distance Education Accrediting Commission and the Accrediting Commission for Community and Junior Colleges. Plans for the online college also call for it to use competency-based education, a learning technique that measures job-related knowledge students can prove they have mastered and rewards students for skills gained from work experience before enrolling. Oakley said the college is still working out precisely how it will use competency-based education and assess students’ skills, but predicted the model will make the college more responsive to students. “We can be much more targeted, we can give them credit for the prior learning they demonstrate, and we can help them — at their pace — gain those skills toward mastery,” Oakley said. That focus will help address one of the online college’s potential challenges, according to Oakley: Ensuring that its students, who in many cases never pursued a college education, stick with their programs and graduate. This is especially concerning for students of color and those who are the first in their family to attend college. A 2014 Public Policy Institute of California report on online offerings in the California Community College System noted students were less likely to complete and pass online courses than in-person ones. Other research has found students who have been successful in traditional academic environments can do well in online learning programs, but those who have not fared as well in conventional settings often struggle in online education as well. “Anybody who is going to do (online education), you need to be thinking about your support for students and how you’re going to provide that wrap-around service,” said Rick Kemp, dean of instruction and partnerships at Rio Salado Community College in Arizona. California officials have cited Rio Salado as a source of inspiration for their online college. Rio Salado offers non-degree credentials in dozens of fields, in addition to traditional degrees, with programs available both online and in person at campuses in the Phoenix area. Oakley said students in California’s online college will have around-the-clock access to support services, including tutoring, technical support and academic as well as financial advising. And while the college will not have a physical campus of its own, plans call for it to lease space for some instruction and support services, such as computer labs and in-person coaching, from brick-and-mortar community colleges, libraries, community organizations and labor groups. “This is very different than the environment that we traditionally put these students in,” Oakley said. College officials also hope the online certificates become a pathway into traditional community colleges. Oakley said the system is working to ensure credits students earn online transfer to a brick-and-mortar college and can be put toward a degree if those students decide to continue their studies. The online college’s ultimate test, though, will be what happens with the program’s graduates: Whether the certificates they earn lead to pay raises and better careers, or if employers don’t accept or understand the certificates’ value because they are not traditional degrees. Oakley agreed and pointed to the system’s partnerships with companies and labor unions in the design of the online college, which he said will create a curriculum that matches what employers are looking for. He also said plans for the college include research tracking graduates’ earnings after graduation to see whether they have better-paying jobs. “While this is new, and it certainly makes our job harder, I think we have a lot of experience pioneering a new way to deliver education in California,” Oakley said. I am interested in your college online but want more information about what degree I want to pursue. I graduated from the Rio Salado College District in Arizona, obtained an AA Degree online. Recently returned to California; had my transcript evaluated -only a few classes matriculated. count towards a degree in the California Community College system. Unfortunately, I work full-time and would like continue my education. California Community College’s online class offering are limited and highly impacted. An online community college is long over due. Working students need flexible class schedules. Goodbye traditional school, hello convenience! As a post-grad who’s lacking in the technical skills that are preferred for my field, I thoroughly look forward this option. I am already enrolled in online classes for certificate programs, but knowing I could take more classes to develop specific skills not available at the current community college I’m enrolled at would be great. Especially since individually researching each community college and seeing what classes they offer online can be very time consuming. California State University (CSU) does offer a few 100% online degree programs. However, the California Community College System & University of California System have never offered online degrees whatsoever & currently only offer online courses. Please let us define our problem very clearly . To increase the life standards of 2.5 million California workers through training not education . There are huge opposition groups to online learning. Obviously topping the list are college faculty and administration. Less obvious is the construction industry which makes its profits from building “bricks and mortar” learning centers. Fortunately there’s other groups that see the benefit of online learning. Topping that list are serious students and parents who will love the much lower cost without the social aspects. Less obvious are those who don’t want to send their kids (or to attend) a modern day college left wing “reeducation camp.” These propaganda centers brook no diversity of thought. I say this as a guest speaker on college campuses with 30+ years’ experience presenting the limited government viewpoint in hundreds of college classrooms. Even though I’m a free speaker, I no longer get invitations to speak to university classes. We conservatives and libertarian speakers and faculty are no longer welcome on most college campuses. Why pay good money for that censorship? And how much is a college liberal arts degree worth, given this dearth of learning and debating? John is correct! Try giving the resources to existing colleges to expand and/or improve online programs already in place. A community college that spans the entire state will not have the best interest in serving the local community that my college serves. John is not right . Californian’s 2.5 million workers at the age of 25-35 does not need a college . They need skills to make their job better and make more money . On the job training online prepared by the best experts in the field of vocational education is the best slution . Go to Dr Agarwal of MIT He knows best what to do . Excuse me, do you have evidence to support your theory that Californians do not need college education to sustain better quality of life? Of course you don’t. Break new ground? More likely it will just break wind. Creating new online-only institutions is risky business at best. Better to give those resources to existing colleges to expand and/or improve their already-in-place online courses. Exactly why is it risky? Simply stating it’s risky does not make it a fact. Can you provide evidence to support your nonsense? Impressive to see this new targeted community college effort to respond to community/employment needs. Congrats to Eloy Oakley for his leadership.